The vision of Christian Assembly is to have A.C.T.S Groups in order to fellowship and nurture the saints and equip them for ministry. 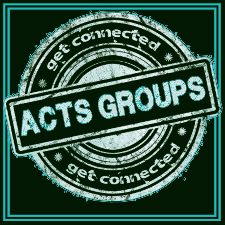 A.C.T.S Groups are to provide a place for developing and training the people to express their love for our God through praise and worship. They also provide a place to build personal relationships through fellowship, sharing, and praying for one another. A.C.T.S Groups are to reach, teach, and reproduce others in Christ. RightNow Media is like the "Netflix of Christian Bible Studies" 10,000+ Bible Study Videos. Instantly stream biblical teaching to your Sunday school, home groups, men's groups, women's groups or youth groups. If you like to login to RightNow Media, please sign-up at the Connect Center and you will receive an invite from RightNow Media to register.